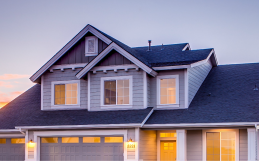 Whether it is a new roof installation or repairs on an existing roof, safety is at the heart of Warner Roofing’s work process. 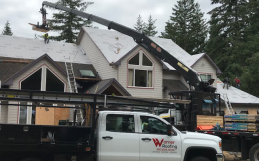 Over the years, we have worked on countless roofs around the Pacific Northwest, and no matter how much experience we have up there, we don’t forget the importance of being safe. Every day at our job sites, we have a safety meeting and a team stretch. This method has been proven to keep our roofing crews focused, alert, and limbered up for the day ahead. 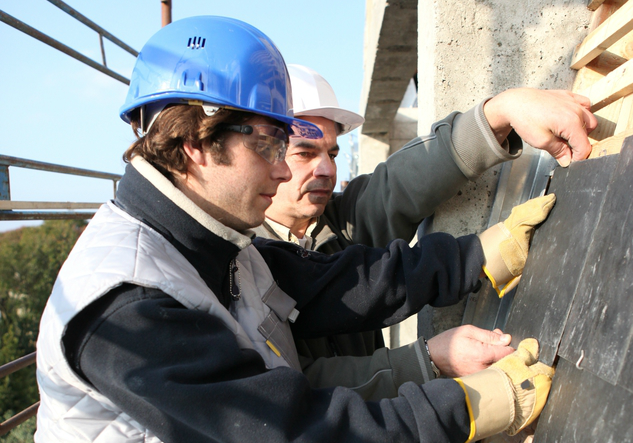 The result: a reduction in on-the-job accidents and personal injuries. Throughout the work process, we ensure that the job site is as organized and clean as possible, so we can avoid unnecessary damage or injury. 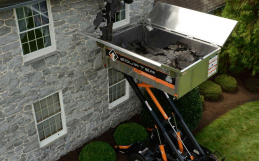 Roofing repairs and installations can get messy, but by cleaning up as we go and eliminating debris that could cause tripping or falling hazards, we are creating a safer work environment. Our roofers wear appropriate footwear with adequate traction, as well as safety glasses, gloves, and harnesses. 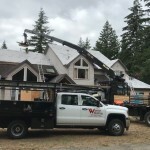 When we use ladders, we ensure that they are secured through stabilizers or with other means to prevent damage not only to our roofers but to the customer’s home, as well. Furthermore, if weather conditions are causing unsafe working conditions, we will be sure to communicate that with each customer and find an alternative solution that will get your roof fixed and installed in a timely manner. Roofing safety is at the core of our business model. We invest in proper training for each crew member so they know how to use their tools and equipment to get the job done in the most efficient way possible with the highest quality of workmanship. We adhere to and implement national safety standards that help protect roofers, and we are insured, licensed, and bonded. Our goal is to stay 100% safe on the job, 100% of the time. 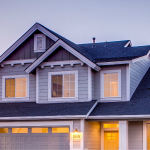 Ready to get your roofing repair or installation started? We are standing by to talk to you about your roofing project, so contact the professionals at Warner Roofing today!